Delhi: Prime Minister Narendra Modi addressed the Silver Jubilee Celebrations of the Shree Kutchi Leva Patel Samaj in Nairobi, Kenya via video conferencing, today. 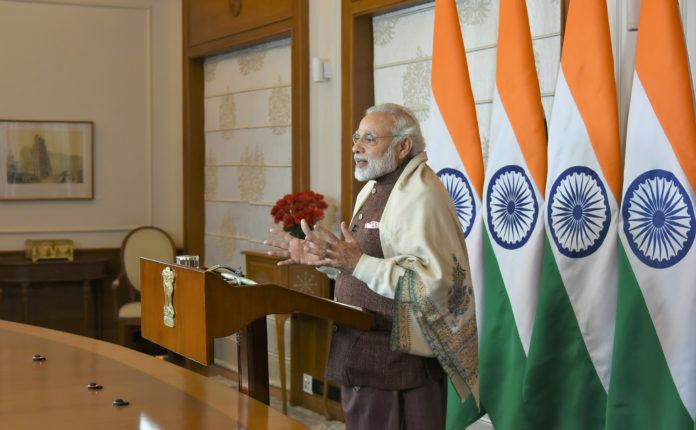 In his address, the Prime Minister lauded the contribution of Kutchi Leva Patel Community in various welfare activities and the development of East Africa. He also recalled the role of members of Indian community in the Kenya’s freedom movement. The Prime Minister appreciated the contribution of Kutchi samaj towards all round development especially their role in the reconstruction and rehabilitation after the earthquake in Kutch in 2001. He said, “Kutch which was once considered a deserted place, has been converted into a prime tourist destination”. The Prime Minister underlined his Government’s sustained efforts, when he was the Chief Minister of Gujarat, in bringing Narmada water to the far flung areas of the Kutch region. The Prime Minister highlighted the double engine strength of the Centre and the State Government in carrying out the development activities in the region. “The region has received thousands of crore rupees of investment in last few years”, he said. He also informed the gathering about the proposed Ro-Ro service in Gujarat between Kutch and Jamnagar. The Prime Minister emphasized that the engagement of India and African Countries has been on the rise. “ India Africa Summit and a meeting of African Development Bank were held in India, recently”, he said. He also mentioned that the President, Vice President, and himself as the Prime Minister of India have visited various African countries on more than 20 occasions, during the tenure of present Government. During his address, the Prime Minister also invited persons in the gathering, especially who have not visited India, on the occasion of Kumbha Mela in January 2019 to experience the cultural and spiritual tradition of India. Prime Minister Shri Narendra Modi congratulated the gathering on the occasion of the Silver Jubilee Celebrations of the Nairobi-West Complex of Shree Kutchi Leva Patel Samaj. Previous articleHRD Minister Prakash Javadekar launches the Grand Finale of the Smart India Hackathon 2018 (Software Edition).